Product prices and availability are accurate as of 2019-04-20 03:45:27 EDT and are subject to change. Any price and availability information displayed on http://www.amazon.com/ at the time of purchase will apply to the purchase of this product. 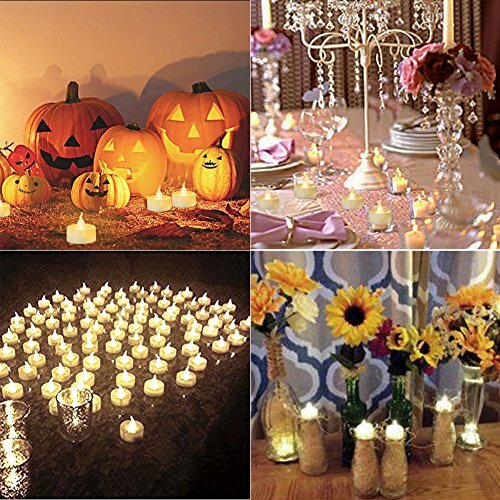 ★ VALUE SET & PREFECT SIZE ★: You will get 100pcs flameless flickering tea lights that are 100% thoroughly and rigorously tested. Each warm white LED tealight candles measures at 1.4 X 1.3 Inches, making it a perfect fit for most votive holders, tea light holders,glass holder, easter egg and luminary bags. 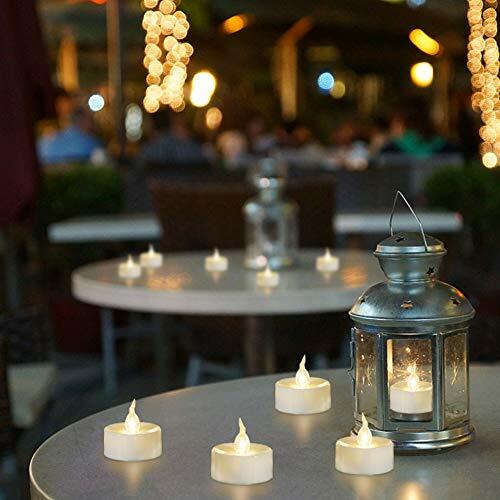 ★ SAFETY COMES FIRST ★: With amazing flameless battery candle set you can have perfect ambient evenings with peace of mind, no worries about fire hazards, smoke, messy dripping wax, stained tablecloth. 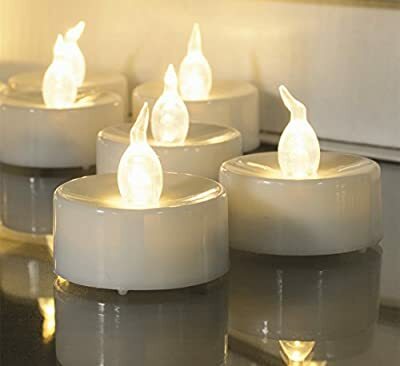 These kid-friendly little votive lights are a great choice for any family with children or pets who want to make sure that their little ones will stay safe. ★ EASY TO USE & MONEY SAVE ★: The battery powered tea light candles come with PRE-Installed CR2032 batteries and can be switched on with a simple switch. The batteries have 100+ hours of light-time and can be replaced easily via the tab at the bottom. Unlike real wax candles, these LED teacup candles are made to last that SAVE YOUR MONEY. 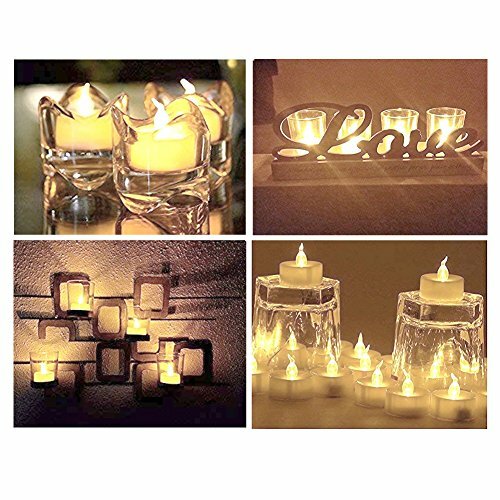 ★ IDEAL DECORATIVE CANDLES ★: These electric tea lights provide realistic flickering effect, ideal for accent decorations for holiday celebrations, wedding ceremonies, special occasions such as birthdays and anniversaries, memorial services, church gatherings, DIY projects and etc. 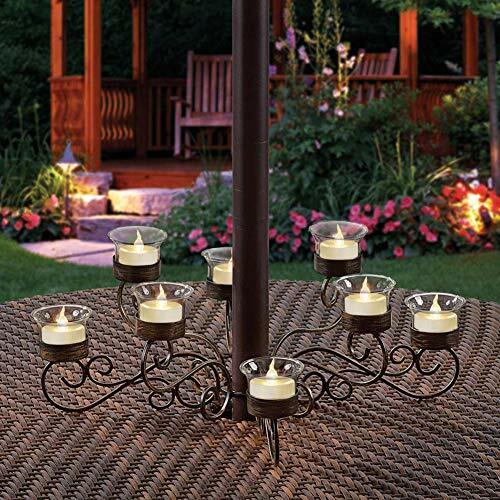 Wind-proof for both indoors and outdoors use, at homes, restaurants, schools, backyards, outdoor camping and etc. ★ SELLER WARRANTY ★: We are extremely committed to our customers. If you are not satisfied with the small fake candles the moment you open the package, please feel free to contact BEICHI Customer Service Team, we promise that we will offering you A SATISFACTORY SOLUTION and A RISK-FREE PURCHASE. Purchase Today by Clicking the Yellow 'ADD TO CART" BUTTON Above.